(This blog was originally published by the Global Policy Journal). In the day before the start of Summit, the GLOSS team are meeting the conference organisers in order to hear more about plans for the meeting and to coordinate communications. Blue Skies, sunshine, and welcome warm temperatures have graced our first full day here in Toronto, providing excellent conditions to explore the city! With only a start-of-conference reception in the evening, today is a relatively free day allowing us to get to grips with Canadian culture and start to engage with the CC Summit team who met us this morning for a communications briefing. Our role will be in helping promote the goals and discussions of the summit by contributing to digital communications via various platforms of communication, ensuring correct hashtag-ing each of our posts. The summit promises to be a very exciting and diverse conference, drawing over 400 delegates from a wide range of countries. A hundred of the conference places have been awarded via scholarships to volunteers who are contributing to the operational side of the conference in lieu of reduced conference rates. All of this serves to illustrate the inclusive and people orientated aspirations of the CC endeavours. This morning’s meeting with conference organisers Jennie Rose Halperin (@little_wow) and colleagues demonstrated the relaxed atmosphere to the summit but also gave an insight into the large scale of the proceedings, which will include a live Spanish language radio broadcast in order to communicate the conference with the large CC community on the Latin American continent, for example, CC Uruguay (@CCUruguay), who have their own film festival showcasing work under the CC license. As an architect – or architect in training I should say– my interest here lies in the potential of the Commons as a creative and collaborative vehicle to contribute to the building of our societies, both physically and socially. Architecture as a discipline has long been associated with the need to engage with pressing issues of the day, and as such, I wish to understand the ways in which my profession can engage with the commons as a resource for building fairer and more just societies, which promote human flourishing and creative approaches to this, over prevailing neoliberal values. The exciting collaborative approach promoted by the CC presents the potential for new and alternative modes of navigating the vast challenges which face us in the next decades. I hope over the next few days to discover and hear of the ways in which approaches fostered by the CC agenda will transform the way in which we shape our world and cities. 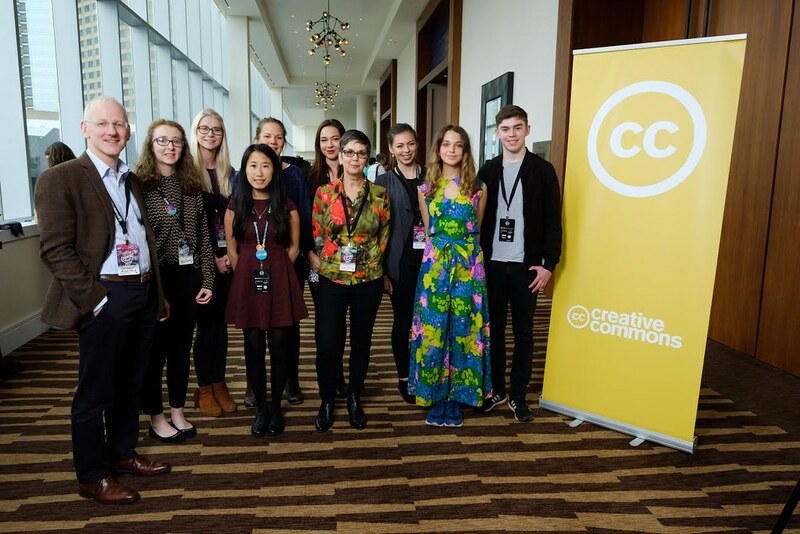 The CC Summit provides the opportunity to engage with a wide range of people from a diverse fields of practice and expertise; I am therefore very much excited to make the most of this opportunity, and hope to post more on this in the coming days. I am pleased to note that the University of Sheffield contingent have taken an enthusiastic start to their tweeting, representing the top five tweets under the official hashtag of the summit! I look forward to watching this virtual conversation unfold and hope that many of you will join in, responding to our posts. We’d love to hear from you! Please check back with Global Policy regularly for the latest blog posts and briefing papers. Or catch up with all of our publications here. Jessica Rees is studying for a Masters in Architecture. Jess is focusing on the ‘Policy and Advocacy’ track at the CC Summit. She is interested in the potential CC providesas a platform to bring diverse people and fields of knowledge together to work towards building a fairer society. ← Different Opens – Same Conversation?